Alcohol addiction can be treated with the appropriate resources, information, and access to the treatment programs that suit the needs of the particular person. 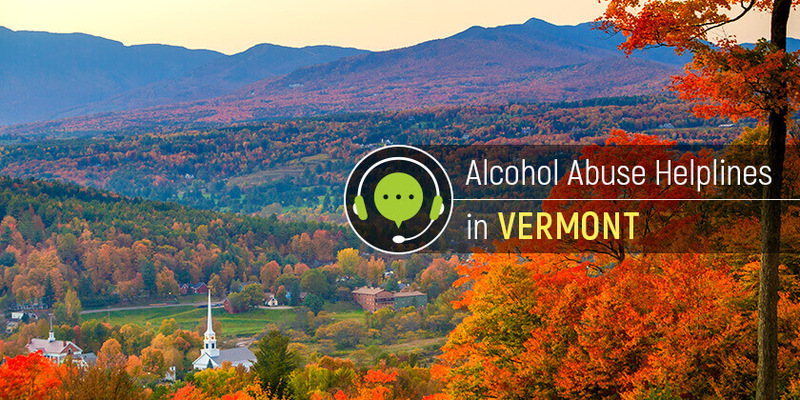 Vermont residents can quit alcohol dependence thanks to several free recovery helplines available. Delphi Health Group is a network of treatment specialists that provide different kinds of treatment from alcohol addiction. Call DHG on the free alcohol helpline (866)-520-2708 to speak with a representative and get information about alcohol addiction treatment services provided. Rest assured that calls are 100% confidential. Representatives are available any time to receive calls and provide information and connect callers to the Group’s treatment programs in the state. Services offered are usually covered by insurance. Dial the alcohol hotline today to get help. Vermont 2-1-1 connects callers to treatment programs for alcohol addiction provided by local community groups and government agencies. Call 2-1-1 or the toll-free alcohol helpline 1-866-652-4636 to speak with a representative. Learn more about the addiction to alcohol and ways to overcome it in Vermont. The NCADD Hopeline offers treatment and counseling services to people seeking help with alcohol addiction and substance abuse disorders. The national abuse hotline also connects callers to the best programs in the state. Call this national alcohol abuse hotline on 1-800-622-2255. Any major lifestyle change involves some mental problems. Ask for free and confidential psychological assistance at one of the hotlines listed above. Make a phone call and start a new life today.